The autumnal weather may have changed overnight in the UK this week, but there are other more positive signs of Autumn in October, and one of them is liquid gold; Oktoberfest is back, and with more and more satellite events happening all over the world, we thought we’d go back and check out the original. In the UK, I have distant memories of putting tinned goods into a shoebox and taking it into school to be redistributed to a food bank – we had an assembly to celebrate the harvest and possibly a trip to the local church to give thanks for the work involved (Can’t remember if that was God’s work, the farmer, or a combination!). 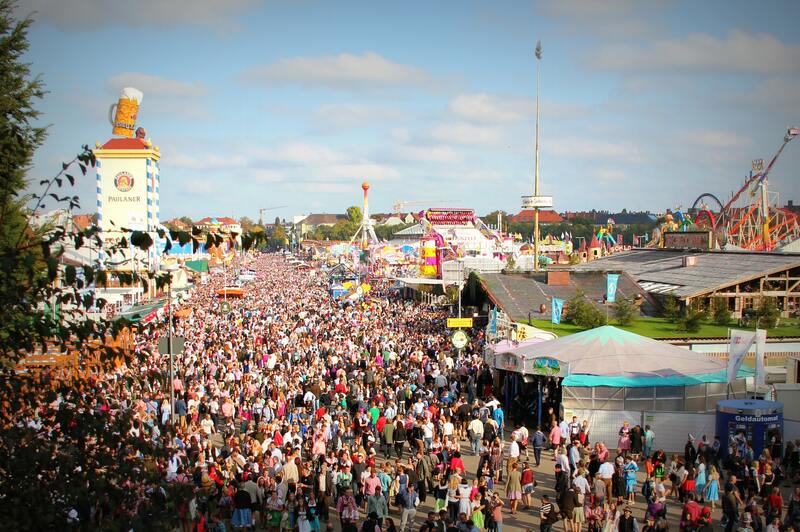 In Germany, their Harvest Festival includes the consumption of over 6 million litres of beer. I can’t help feeling we got that wrong. Oktoberfest is an all-day affair, with beer sold in the tents between 10:00 and 22:30 on weekdays and 09:00 and 22:30 on weekends and holidays. Bavarian beer is pure. You can thank the Reinheitsgebot (Bavarian Purity Requirements). In 1516, Duke William IV decreed that only water, hops, and barley should be used to brew bavarian beer. Anecdotally that’s why a Munich hangover doesn’t seem so bad as a hangover from anywhere else. Or maybe it’s just because they can start drinking again by 10 am? But it’s not all tents and fancy-dress. There are massive infrastructure challenges that are addressed to handle the logistics of both the people and the products. Oktoberfest has become Munich’s biggest tourist attraction (along with the German Christmas markets) and businesses all over the city set to gain financially from their involvement, providing they can cope with the influx of domestic and international visitors. As with lots of drinking based expeditions, not everything makes it home. Over 4000 items are lost during the Oktoberfest. Beyond the barrels and Bavarians, there is a lost and found system that has to cope with the collection, identification, and storage of masses of items. If you do lose your jumper, glasses, phone, or dentures, you have six months to collect your items before they get sold at public auction. 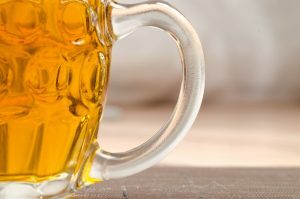 There are six key Munich breweries involved in the Oktoberfest; Augustiner, Hacker Pschorr, Hofbräu, Löwenbräu, Paulaner, and Spaten. Each of them uses the occasion as a marketing tool as much as a sales vehicle. Hofbräu offers the most potent beer at 6.3%, and Hacker Pschorr provides a marginally less strong beer at 5.8%. As you can see, there’s not much range there for what we would call ‘a session beer’, and you may need to pace yourself – especially if this is your first time attending. Over the past few years, a large number of localised Oktoberfests have been advertised – attempting to bring the magic of Munich to a town near you. While I don’t think they can capture the festival atmosphere of the original, unless you booked your tent tickets months ago, you might be better off in a marquee in the outskirts of your nearest city. Just watch the hangovers.